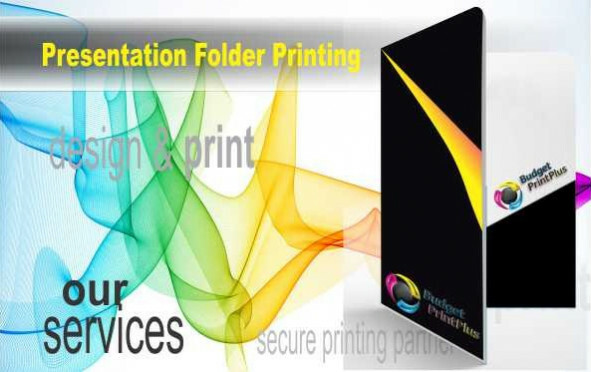 Presenation Folders give a company the edge with its competitors. Business Folders can be printed on one or both sides and come in a variety of templates to suit many requirements. Cheap, shoddy marketing materials do not make a good impression. When you are looking for presentation folders, you almost certainly want them to be high quality. Finding impeccable, professional-looking folders is not always as easy as it sounds. Custom Presentation Folder shows off your wares or services at trade shows, then pocket folders are almost essential to your overall marketing presentation. When someone shows interest in your product, organisation, or service, you can simply hand them a package with all of your information already organised inside. You can insert any marketing materials, such as booklets, brochures, flyers, business cards, notepads, stickers or any other paraphernalia that will fit in the pockets. This is crucial at trade shows because it is easy for attendees to get everything mixed up when all the items are loose because they are being handed many items constantly throughout the show. Printed In Australia. Professional folders give a company the edge with its competitors. Custom Folders can be printed on one or both sides and come in a variety of templates to suit many requirements. Quantities of 250 and over will be printed 100% Heidelberg Anicolor lithographic offset, whilst those quantities lower than 250 will be printed using Fuji Xerox digital technology. 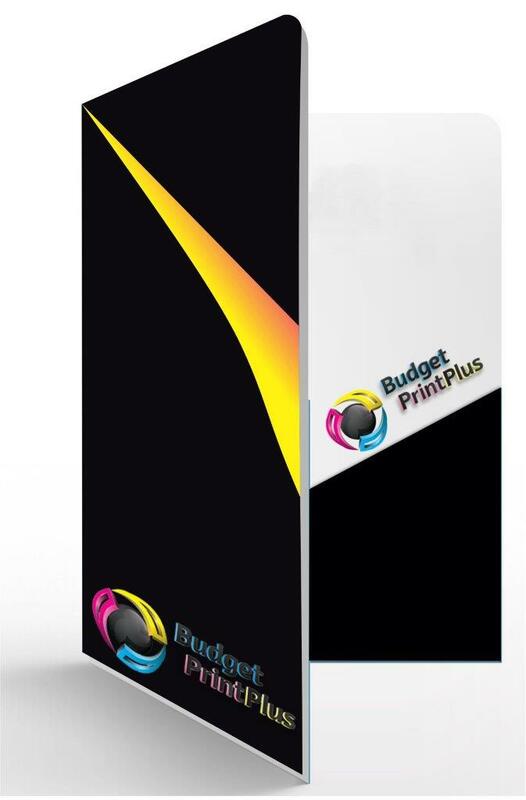 Cheap Business Presentation Folders help you professionally organize and package your printed materials. You can use them in one-on-one meetings or with large groups to ensure consistent organization. They make it easy for your recipients to keep all of the material you provide together in an easily transportable and organized way. Custom Presentation Folders also offer you a nice sized canvas to emphasize your brand or reinforce your message. Printed Presentation Folders work for a wide range of uses from seminars to sales kits. Don't plan a meeting or give someone several pieces of printing without Presentation Folders. Two Sides, Premium gloss 300GSm, Size 45 x305mm, Business Cards Slits:Portrait or Landscape.